Book Review - Foundryside by Robert Jackson Bennett - Honk if you love justice! Foundryside is the latest book from Robert Jackson Bennett, who previously wrote the “Divine Cities” trilogy. I mostly knew him from the shenanigans he, Sam Sykes, Chuck Wendig and others get up to on Twitter. Checking out new authors that way hasn’t steered me wrong yet. Sancia is a thief, who operates out of Foundryside, a slum that exists in the gutters and buffer zones between four merchant houses. Like most heist books, she’s damn good at her job, but powerful forces are at work, and she gets swept along. Good thing she makes friends with a strange cast of characters along the way! The merchant houses run the entire city, existing in a state of cold war. Sancia is one of the independent operators, taking jobs for anyone. Unfortunately her latest job has her stealing an object of incredible power. The magic of this world is called ‘scriving’. It works by convincing objects that the natural laws don’t apply to them, or do apply but in a different way. Imagine if you could make a cart roll by itself, by scriving runes to tell the wheels that they are on a hill. A sword can be made to think that, when swung, it’s three times heavier. But before all that, beings existed that couldn’t just tweak, but rewrite reality as they saw fit. And their artifacts are being found. 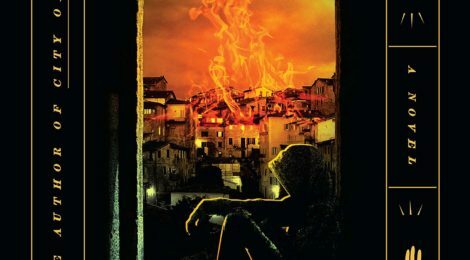 If you like the Gentlemen Bastards series and are looking for another heist book with a strange cast of characters, Foundryside would be a great option. Check it out!